Extraordinary opportunity to own Boulder's favorite Boutique Hotel,steps from famous Pearl Street shops & restaurants, in the very heart of Boulder. 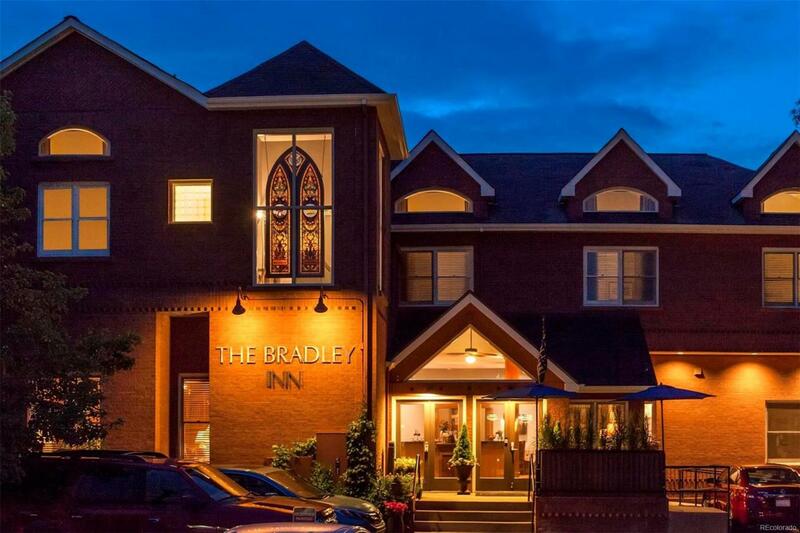 The Bradley Boulder Inn features 12 en suite guestrooms,bright and beautifully appointed,amenities such as fireplaces,spa tubs,balconies w/mountain views, dramatic great room, spacious dining room, conference center, 2/2 managers apt & plenty of off street parking. Successfully operated by the same owners for the past 18 years w/5 star ratings. Global mix of business travelers and leisure guests with rave reviews and consistent high ratings on TripAdvisor and other travel sites. Complimentary breakfast and happy hour each day. An enduring symbol of Boulder's Historic District.